OwyheeStar selected Blue to bring balance. Previously acquired Studs and Dams had been mostly field-bred. 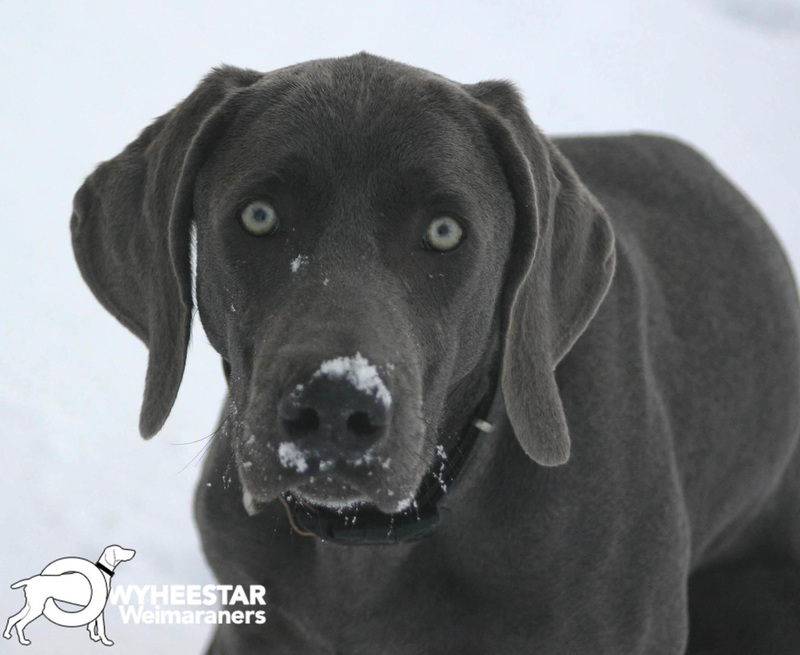 Many of the breeding age females were from carefully selected matings between previous OwyheeStar all-star Weims. Blue proved to be a perfect balance when combined with the OwyheeStar to date offspring. His father (Trooper Kelley) is an International Show Champion. Blue's excellent conformation, easy going temperament and stunning looks balanced the field bred female in ways that are not easily captured in words. It was imperative that he not be related to any of the OwyheeStar Dams. Blue is invaluable--both for his looks, as well as body structure. Better yet a few litters proved the outcome OwyheeStar worthy. Believe it or not, there were other benefits to having a Stud dog like Blue. Blue is not a Longhair DNA Carrier, so he will not produce longhairs in any litter he sires. He has been the answer because OwyheeStar needed another Blue Stud. Dusty had been perfect; however, it was a bit like having all your eggs in one basket. If anything went awry, they could not produce blues. OwyheeStar was not sure Blue would make a showing in the field. He was not from hunt lineages. While he was not stellar, he was more than decent. Most hunters would be happy with Blue's hunt potential. We were delighted with his ability to be better than average hunting companion. He is a great asset, and many people who have a pup out of a Blue-sired litter are extremely thankful. Most hunters would be happy with Blue's ability for a hunting companion. He is a great asset, and many people who have a pup out of a Blue-sired litter are extremely thankful. Welcome news arrived at OwyheeStar (December 2015). To read the blog post click here! Early in 2013 Igor sent a courier to pick up a blue puppy born to a litter produced by a mating between Livee and Blue. 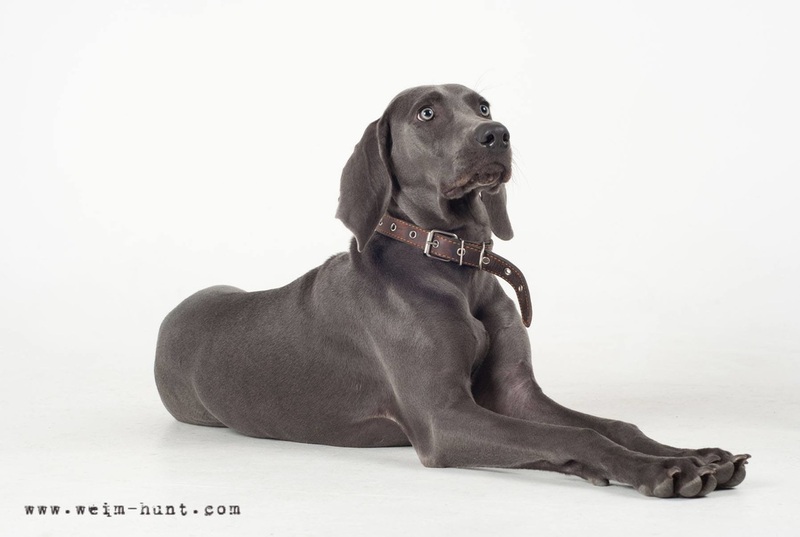 Russia is like America--the Weimaraner Club doesn't recognize (or allow) the Blue Weimaraner. It is considered a fault; therefore, they are not permitted to compete in the Weimaraner Club Show Competition. Nevertheless, there are other ways to gain recognition. In America, it is the International Kennel Club; in Russia it is the International Kennel Union. Gabriel (pictured below) has also produced her first litter in 2014; one of her pups (O'Hara) netted a Juvenile title -- BJB (Best of Junior Breed). companion. He is a great asset, and many people who have a pup out of a Blue-sired litter are extremely thankful.